Time for a kitchen or bath upgrade? It’s hard to believe that summer is practically gone, and the holidays are fast approaching. Thanksgiving is only nine weeks away. Look around your kitchen and bathrooms and what do you see? If you don’t like the view, maybe it’s time for a kitchen or bath upgrade. Is it time to upgrade your kitchen appliances? It depends. Here are a couple things to consider if you’re thinking about replacing your appliances. Have you had to have them repaired in the last year? If so, you’re likely to need additional repairs down the line. Maybe it’s time to stop scheduling repairs and put the money into new appliances. New appliances come with warranties that can save you money and give you peace of mind. Are the appliances outdated? Colors and features change. You might enjoy having modern appliances that look fabulous in any kitchen. The change in appearance can be dramatic, especially if your appliances are from another era! Are your appliances energy efficient? If not, they are costing you money in the form of higher utility bills. Replacing them with ENERGY STAR appliances can give you significant savings and brighten your home, too. Are your plumbing fixtures broken or worn? Handles hard to turn? Faucets that drip, drip, drip all night? Over time, the best plumbing fixtures can wear out with overuse, sediment buildup or corrosion. If your fixtures are unsightly, it’s time to upgrade. Does your bathtub still meet your needs? If you’re getting older and mobility is an issue, you should get a walk-in bathtub and a higher toilet to make your life both easier and safer. We have acrylic bathroom solutions that can beautifully installed in just a day or two – certainly in plenty of time for the holidays. Whether you’re thinking of doing a major kitchen or bath upgrade or just switching out some fixtures and appliances, you should call The Plumbing Source. 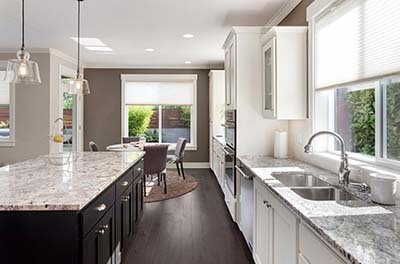 We have an entire department for kitchen and bath remodeling, and since we obviously handle all the plumbing necessary for your upgrade, there’s no need to coordinate with multiple suppliers. Our customers tell us that we’ve saved them money and time. 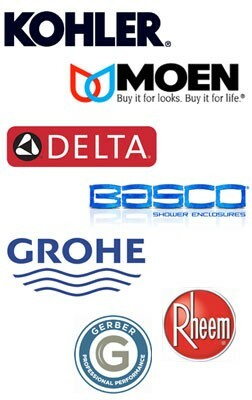 Let us help you with your kitchen or bath needs. Call us today at 216-365-0600 and ask to talk with a representative about your kitchen or bath upgrade. You can count on The Plumbing Source for courteous, professional, and affordable solutions to all your plumbing needs.